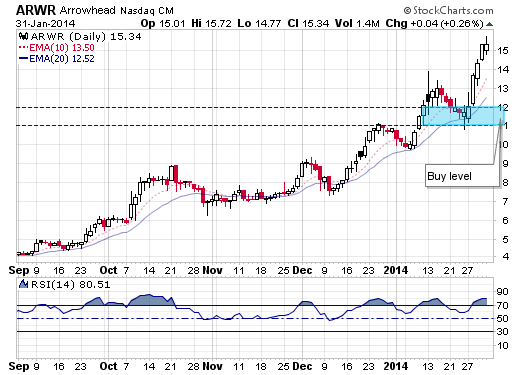 This is one stock to keep an eye on and buy after it has a pullback. It continues to show up on my scans night after night and when you look at the volume pouring into this stock there’s no denying it’s under accumulation. Given how long it’s been in the overbought territory on the RSI it needs to have a good 25% correction to reset, but as soon as that happens it will be a great buy. Ideally the daily RSI will pull back to the 40 level.